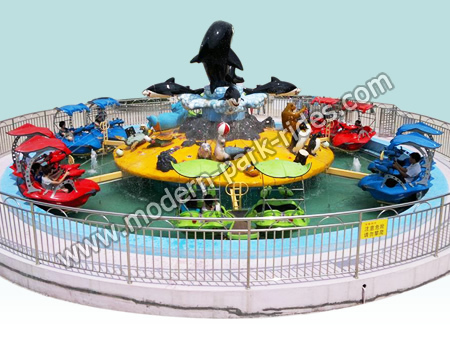 The fight shark island rides are a kind of newly designed spinning amusement equipment and the rides can accommodate 24 people. The fight shark island rides belong to the kiddie amusement rides and it is composed of several sharks, dolphins, a variety of fishes, etc., which seems like the riders are on the sea. The characters are painted with non-fading durable painting and the rides have a very beautiful appearance.